Late December is, for many people, a time of introspection and self-reflection. For me, Christmas Eve is particularly sacred in that regard. As long as I can remember, I stayed up extra late on Christmas Eve--not to wait for Santa or in anticipation of opening gifts the following morning--but to allow myself time to reflect on how my life has changed since the previous year's Christmas Eve and muse as to how my life might change before the next one rolls around. As I reflect, I always attempt to thank God for the blessings, lessons, and difficulties of the past year and also for the hope that comes with the next. This past year, Masonically, has been a whirlwind adventure for which I am very thankful. I've been blessed with many new friendships with brethren across the world through The Masonic Roundtable, Midnight Freemasons, and Masonic Radio Theatre. I've also been granted increasing responsibility in my mother lodge, and look forward to my time in the East in the coming years. 1. Temperance: Spend more time with family. Masonry is a vast, complex machine with many moving parts; however, it has relatively few workers to keep those parts moving and may have fewer in the future if current Masonic membership trends persist. As a result, Masonry has no shortage of work for those men who choose to be active--even to the point where family life suffers as a result. This year, I resolve to give my family the quality time they need. 2. Fortitude: Put all I can into my lodge. Spending more quality time with my family doesn't mean that I slack off on my Masonic duties. Masonry should be about quality, not quantity. As such, I resolve to give my Masonic endeavors my all (within the length of my cable tow) this year, recognizing that I cannot (and should not) do everything; but what I do do, I should do exceptionally well. 3. Prudence: Exercise more patience. We all know brethren who drive us nuts for whatever reason (if you're on reddit or facebook, you probably know several). While our obligations may keep us from completely writing them off or telling them where to shove it (or may not, depending on how you frame them), disharmony in the Craft can still abound in cases where brethren rub each other the wrong way. This year, I resolve to exercise more patience with brethren I find difficult to befriend and relieve. 4. Justice: Be as good of a man as I can be. All the time. We've heard it time and time again. Masonry makes good men better. Why else would we join? You can read the rituals online. A non-mason can buy a Masonic bumper sticker to put on his car or lapel pin for his jacket if he wants to do so. We're here to build each other into men of high values and character; as a Mason, it is my duty to be as good of a man as I can be, as I resolve to do the same to the best of my ability throughout the next year. 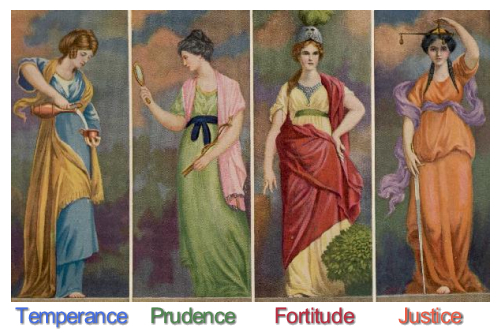 As we move forward into 2015, I wish all brethren wheresoever dispersed a joyous new year filled with temperance, fortitude, prudence, and justice--four virtues upon which our craft was built, all of which are essential tools to master as we go forth and attempt to carry out our end goal as Masons: to make good men better. Bro. Jason Richards is the Senior Deacon of Acacia Lodge No. 16 in Clifton, Virginia, and a member of both The Patriot Lodge No. 1957 and Fauquier Royal Arch Chapter No. 25 in Fairfax, Virginia. He is the sole author of the Masonic weblog The 2-Foot Ruler: Masonry in Plain Language, and is a co-host on the weekly YouTube show and podcast The Masonic Roundtable. 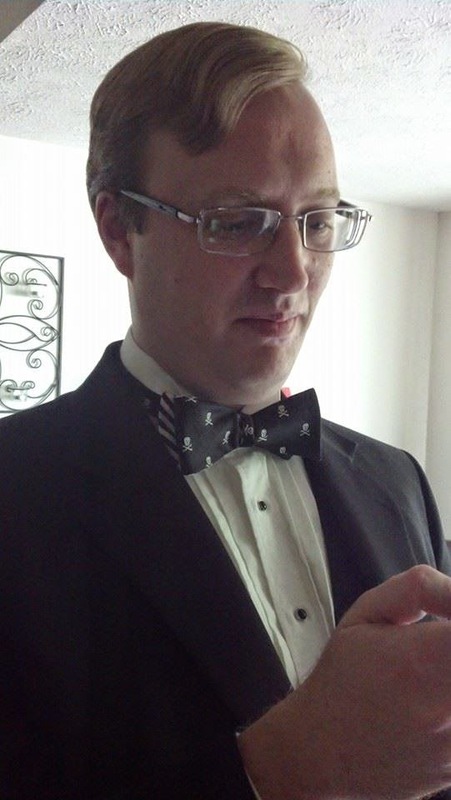 He lives in Virginia with his wife, cats, and ever-expanding collection of bow ties. Yes, you read that right, The Eggnog Riot. It all started back in December of 1826, when some cadets of the West Point Military Academy wanted to smuggle whiskey into said academy for the Christmas party. At that time, alcohol possession, drunkenness and intoxication were absolutely prohibited and would result in expulsion. Even use of tobacco or gambling would get you minor incarceration, loss of privileges etc. Once the cadets had learned that the eggnog would have to be alcohol free, they promptly decided to smuggle some in. On December 22nd, a few cadets, namely William R. Burnley, Alexander J. Center and Samuel Alexander Roberts were at Martin's Tavern and almost got into a fight with another local watering hole over the business of getting this much sought after whiskey into West Point. The three cadets managed to convince Private James Dougan to let them cross the Hudson River to smuggle the whiskey in. They had only planned on acquiring one half gallon of whiskey as a base for the eggnog, however they ended up with a whole lot more than that. Thanks to Phillip St. George who was the Duty Guard for that day (24 hour shift), the three cadets managed to score two gallons of whiskey for the Christmas party which would be taken back to the North Barracks in room #33. However it may have been help from Bro. T. M. Lewis who came through with the clutch when he acted accordingly to acquire a gallon of rum which he delivered to North Barracks Room #5. The cadets made their plans and while Superintendent Sylvanus Thayer was attending his own administrative holiday party, the cadets, including Bro. Jefferson Davis (President of the Confederate States During the Civil War) started to party as well, even Robert E. Lee was present. The movie Animal House comes to mind. Below is a time line of events which eventually ended with court-martials and expulsions. Nathaniel Eaton (Massachusetts) was the cadet in charge of the external post of the North Barracks. Captain Ethan Allen Hitchcock, a faculty member in military tactics, was also stationed in the North Barracks. Eaton and Hitchcock met and discussed the smuggled liquor in the North Barracks. The eggnog party started among nine cadets in North Barracks Room No. 28. Numerous cadets appeared as the party progressed, while another party began in Room No. 5, mentioned by seven cadets including Davis. Farrelly went again to North's or Havens and returned with another gallon of whiskey early on Christmas morning. Cadet Charles Whipple (Michigan Territory), the division superintendent during the first part of the incident, went to North Barracks Room No. 5 at 02:00 after hearing a commotion, interrupting a round of singing among eight cadets, including Davis. Whipple returned to his room after a verbal exchange with Davis and the other cadets. Hitchcock made another patrol around the barracks at 03:00. Lieutenant William A. Thornton was asleep while the events unfolded. By 04:00, voices from the floor above Hitchcock were loud enough to cause the faculty member to investigate Room No. 28, where Hitchcock knocked on the door and found six cadets drunk from the eggnog, as well as two others sleeping on a bed. Hitchcock ordered two of the cadets back to their rooms. After they left, Hitchcock woke the two sleeping cadets and ordered them to leave as well. Then he confronted Cadet James W.M. "Weems" Berrien (Georgia), who responded with equal force. Hitchcock read the Riot Act to the residents of the room for possessing alcohol on the premises. The captain left the room at 04:15. Berrien began verbalising his rage toward Hitchcock, which led William D.C. "Billy" Murdock (District of Columbia) to lead an effort to organize a riot against Hitchcock. Hitchcock went down to his room to sleep. Three times he heard knocks on the door only to find no one there. After finding another cadet drunk, Hitchcock saw Davis head over to Room No. 5 where thirteen cadets were partying. Davis, seeing Hitchcock's arrival, warned the other cadets. The captain entered the room, ordering one of the cadets to open up another cadet's footlocker, but the cadet refused. Hitchcock ordered no more disorder, left the room, and started looking for Thornton around 04:50. Meanwhile Thornton had strolled the North Barracks between 21:00 on the 24th and 02:00 on Christmas Day observing the ongoing partying, before going to sleep at 02:00. He was awoken by loud yells and, once out of his room, was attacked by two cadets. Thornton then put cadet William P.N. Fitzgerald (New York) under arrest for brandishing a weapon. Fitzgerald retreated from Thornton, then told two cadets in Room No. 29 about the arrest. At this point, noises erupted from the South Barracks which distracted Thornton. While going to investigate that commotion, Thornton was knocked out by Roberts, who had been ejected from Room No. 28 by Hitchcock earlier that evening. Davis was asleep, but other cadets went looking for Hitchcock. Three other cadets were discovered by Cadet James G. Overton (Tennessee), a relief sentinel and not involved in the parties, and questioned about their actions. They gave a drunken explanation about needing drums and a fife. At around 05:00, Hitchcock found another inebriated cadet wandering the academy. By this point, several window panes had been broken. Hitchcock returned to the room where he was staying, No. 8. Several cadets then attacked his door, Guion drawing his pistol and firing a shot into the room. Hitchcock opened the door and yelled at the cadets to stop. The captain then began arresting cadets. Hitchcock ordered Eaton to find Worth's headquarters. Overton asked Hitchcock to find Thayer and Hitchcock replied "No, Mr. Overton. Fetch the 'com'(Commandant Worth) here!" Several of the drunken cadets thought Hitchcock had stated the Bombardiers would be the ones to quell the riot, using heavy weapons, causing several cadets who were not drunk to take up arms in defence of the North Barracks. Thayer had been awoken at 05:00 by the sound of drums. He ordered his aide, Patrick Murphy, to get Major Worth because of what he could hear going on in the North Barracks. Hitchcock continued restoring order in the North Barracks, getting into a fight with Cadet Walter Otey (Virginia).Thornton awoke from the stairway where he had been knocked out and returned to his room. Hitchcock greeted him in his room at 05:45. By 06:00, other cadets who were not drinking were also involved in restoring order. The main rioters were attempting to recruit other cadets, but with no success. Overton could not find Cadet Eaton, who was checking the South Barracks, but did find Major Worth. Hitchcock met Worth and told him what had transpired. By this time, Thayer's aide had arrived in the North Barracks' guardroom. The Second Artillery had arrived at the North Barracks by the time of Reveille at 06:05. Reveille sounded at 06:05, along with gunfire, the sound of glass breaking, profanity by cadets, cries of pain, and threats on Academy officials. North Barracks residents who were not drunk from the eggnog were appalled by the damaged property. Cadets in the South Barracks were well rested, while other cadets in the North Barracks were disheveled. Some of the cadets remained in their rooms drinking, although some appeared in parade formation despite being drunk. Worth met with Superintendent Thayer after the first formation to discuss what had happened in the North Barracks the previous evening. Thayer instructed Worth to get the officers into the North Barracks and restore order. Captain Mackay, Academy quartermaster, took down details of the damages to the property at North Barracks so repairs could take place in the following days. Many cadets who were drunk made it to company roll call at 06:20, though they were subdued. The mutiny officially ended when Cadet Captain James A.J. Bradford (Kentucky) called the corps to attention and dismissed them from the mess hall after breakfast. Chapel formation took place after breakfast, followed by two hours of service, with most of the drunk cadets still recovering. Thayer was advised by Worth regarding the events at North Barracks. Captain Hitchcock and Lieutenant Thornton were bruised, while several cadets suffered minor injuries, and Fitzgerald suffered a hand injury. Worth told Thayer that between fifty and ninety cadets had been involved in the mutiny. Later that day, Thayer met with Governor Kemble, an ordnance manufacturer in Cold Spring, New York, to discuss different items, including the events at West Point. Kemble asked Thayer what he would do about the misconduct, to which Thayer replied he did not know. A faculty and staff meeting took place, with all but Captain Thomas C. Legate of the 2nd Artillery A Battery and a few assistant professors in attendance. Thayer informed them that Major General Alexander Macomb, Chief of Engineers and Inspector General of the Academy, had been told of the riot, and that he was awaiting orders from Macomb. The superintendent also informed the attendees that an inquiry would take place during semester finals in January 1827, so some of the cadets would face simultaneous examinations and inquiry. Cadet Battalion Order 98 was read at formation and posted at several prominent locations at the Academy. Twenty-two cadets were placed under house arrest until further notice; among them was Davis, who had been reported as a malefactor by Hitchcock and Thornton. Certainly a good time and a bunch of cadets, a handful of whom were Brothers of the craft were determined to have some spirits for their Christmas party. Perhaps keeping passions within due bonds was a lesson they forgot about. Either way, I hope you found the story interesting and maybe just a little funny. The timeline above was published on wikipedia with multiple cited references. Bro. Robert Johnson, 32° is the Managing Editor of the Midnight Freemasons blog. He is a Freemason out of the First North-East District of Illinois. He is the Master of Waukegan Lodge No. 78. He is also a member of the York Rite bodies Royal Arch, Cryptic Council, Knights Templar, AMD, The Illinois Lodge of Research and a member of the Scottish Rite Valley of Chicago as well as a charter member of the Society of King Solomon, a charity organization run by the Grand Lodge of Illinois. Brother Johnson currently produces and hosts a weekly Podcast (internet radio program) Whence Came You? which focuses on topics relating to Freemasonry. In addition, he produces video shorts focusing on driving interest in the Fraternity and writes original Masonic papers from time to time. He is a husband and father of three. He works full time in the safety industry and is also a photographer on the side as well as an avid home brewer. He is currently working on a book of Masonic essays. Over the last year, we have had many Guest Contributors to our site. It has been a huge help to have new perspectives and styles of writing about Masonic subjects available to the readership. This year in fact, we had 27 guest posts! So much great work and at the beginning of the year we brought one of them aboard. This was of course, Bro. Robert Walk Jr.
Toward the middle of the year we brought on Bro. Jason Richards, and now just before the close of the year, it is with great pleasure I am able to add to the rolls of the regular contributors once again. Please join me in welcoming Bro. Adam Thayer! Brother Thayer brings a very academic approach to our blog, as he is on the Committee of Education for the Grand Lodge of Nebraska. He is also a member of two lodges there and is "in line" in both of them, which is quite a commitment. He is a member of the Scottish Rite and Knights of St. Andrew as well. I know I enjoy his writing and perspective into the craft, and I think you will too! With the success of Dan Brown’s new book The Lost Symbol there seems to be an increase in interest with more people inquiring about our Masonic fraternity. The book is about the symbols of Freemasonry. 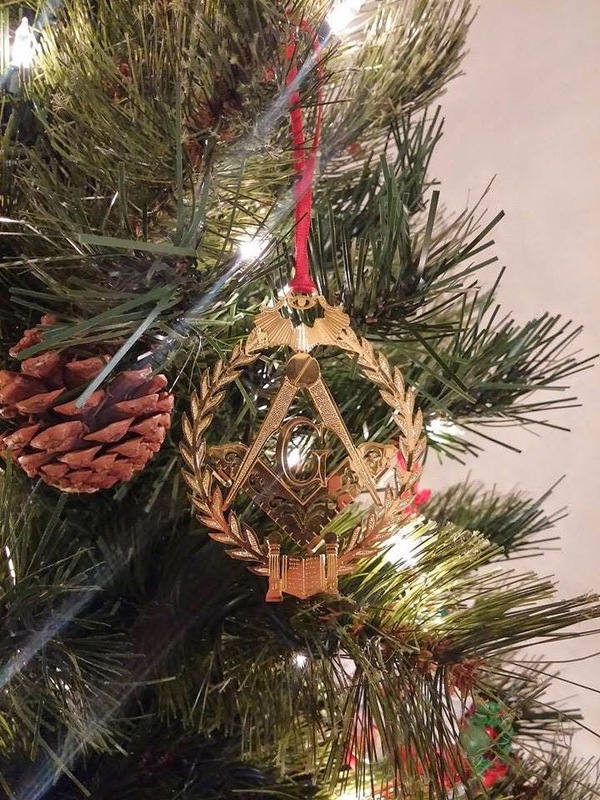 One would only hope that there would be a similar resurgence of interest by our brethren in making the journey of studying about our fraternity, its philosophy, its history, and the meaning of the symbols that make up our ritual. When a candidate first knocks upon the door separating the preparation room from the lodge hall he starts upon this journey of enlightenment about our brotherhood. The candidate is introduced as having been in darkness and now seeks light by being brought into the fraternity of Freemasonry. In the first section of the Entered Apprentice degree the candidate is asked what he most desires. The response elicited is “light”. In the first section of the Fellowcraft degree his response to a similar query is “more light. In the first section of the Master Mason degree ritual, the appropriate response is “further light”. This seems to imply that the authors of our Illinois ritual indicated that the achievement of the Master Mason degree is not an end to our Masonic education, but there is much more. 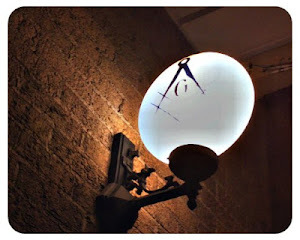 There is nowhere in the ritual of symbolic or blue lodge Freemasonry where a brother is given the “most light” or a completion of the quest to find light in masonry. Attendance has fallen drastically at lodge meetings. The number of new petitions has also diminished in recent years. Why is it that Freemasonry has fallen in popularity? Why is it that even when new masons are brought into the lodge that they are no longer active after being raised to the degree of Master Mason? Many blame the current situation with our economy. People are having a hard enough time making ends meet and having to spend time with their occupations and their families. Freemasonry no longer occupies a prominent place in our culture. In the volume 14, 2005 edition the Transactions of the Illinois Lodge of Research, Brother Edward A. Rund authored an article entitled, We Are Failing Our Masonic Educators. Brother Rund stated that statistics indicate that over 95% of the new Master Masons felt no need to return to lodge and take an active interest in our fraternity. Of those that do return to lodge they only do so sporadically. Few of our new Master Masons take on the obligation of becoming officers in their lodge. Brother Rund places the reason for this fall off in Masonic feeling on the lack of a focus on Masonic education. In volume 16, 2007 of the Transactions of the Illinois Lodge of Research, Brother Neil Neddermeyer, Past Grand Master of Minnesota, postulated that there are three groups of Masons. There are those that feel that Freemasonry is a social club. A second category consists of those that feel that the main function of Freemasonry is to support charities and philanthropic institutions. Finally, there are those Masons that are in the fraternity to receive Masonic light and learn as much as possible of Masonic symbolism, history and philosophy. While all of these reasons for becoming Masons are important, it is this latter group of brethren that this article is trying to reach. Rollin C. Blackmer, in his book, The Lodge and the Craft, states that at the writing of the book in 1976, there were more than 100,000 brethren who held memberships in Masonic lodges in the state of Missouri. Of this number he postulated that perhaps 75 were sufficiently interested in the brotherhood to undertake further study of the fraternity to which they belonged. This is a most lamentable state of affairs, which, I submit, continues to this day. Perhaps if more of our brethren took on the task of learning about our fraternity we could greatly increase attendance at lodge and bring along a cadre of brethren who would take on the roles of leaders in their lodge. Ritual is important. It is the ritual that is the first exposure that a candidate has to the philosophy of masonry. The ritual consists of the lessons that freemasonry teaches so that a brother can lead a life that is rich and fulfilling. As Blackmer states, “The ritual is the vehicle which the principals of Freemasonry ride into the hearts and minds of men.” However, the words of the ritual are not enough. It is the meaning of the words that lead men to live up to our teaching. These words are capable of interpretation that is nuanced by the historical background of those who wrote them. A study of the history and symbolism of the ritual is essential to understanding the meaning behind the words. There is much research to indicate that it is easier to learn ritual when one understands the meaning of the words that are being memorized. There are many areas of Masonic research that can be undertaken depending on the inclinations of each individual brother. 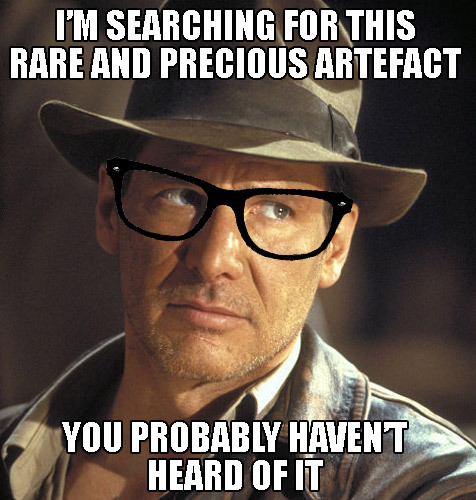 Some brethren may become interested in the history of the craft. Others will take an interest in the philosophy of Freemasonry. Those with a legal bent may become interested in Masonic jurisprudence. There is also the symbolism inherent in the words of our ritual. The bottom line is that there is something for everyone in our fraternity. The full meaning of Freemasonry becomes a life long study of the various aspects of our brotherhood. This study can be rewarding and give the Masonic brother a meaning for life and, as our ritual tells us, “There stands a just and upright Mason”. A Real Deal Masonic Degree You Can Give Your Wife! Okay, so I hope the title drew you in, but this is serious! In my searches for Masonic tidbits and sometimes, what some would call scandalous information, I recently came across an interesting entry. It is from the 1916 edition of Mackey’s Masonic Encyclopedia - And it’s Kindred Sciences. The entry I am writing about is called “The Masons Wife and Daughter" and it references a real degree, or possibly degrees (explained later) that any Master Mason may confer to any woman in his life as long as they meet the requirements. The purpose? To seemingly give a way to be recognized among those of the fraternity. MASON'S WIFE AND DAUGHTER . A Degree frequently conferred in the United States on the wives, daughters, sisters and mothers of Freemasons, to secure to them, by investing them with a peculiar mode of recognition, the aid and assistance of the Fraternity. It may he conferred by any Master Mason, and the requirement is that the recipient shall be the wife, unmarried daughter, unmarried sister, or widowed mother of a Master Mason. 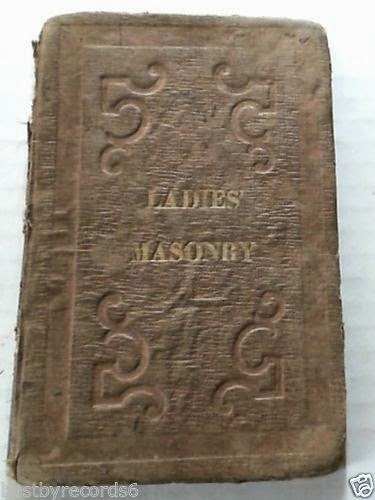 It is sometimes called the Holy Virgin, and has been by some deemed of so much importance that a Manual of it, with the title of The Ladies' Masonry, or Hieroglyphic Monitor, was published at Louisville, Kentucky, in 1851, by Past Grand Master William Leigh, of Alabama. Not much information exists on this “Holy Virgin” degree that was so popular in 1851 that the ritual was even printed, and that Mackey states it was “…A degree frequently conferred…”. Some fairly basic searches for this book, brings you a library search where the subtext of the title is revealed, and what a surprise it offers! The subtext reads, “Hieroglyphic monitor : containing all the emblems explaind in the degrees of the Holy Virgin and Heroine of Jericho, duly arranged, to which are added illustrations, addresses, & c” I wonder what happened to this degree or degrees, was it absorbed into one of the other appendant bodies open to women like the Daughters of the Nile, the modern version of the Heroines of Jericho or The OES? Without the printed original ritual, we may never know. 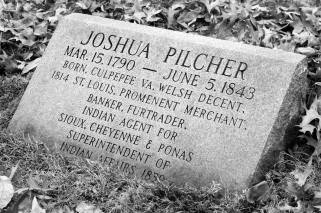 Born in Culpeper County, Virginia in 1790, Brother Joshua Pilcher, like so many others, moved to the Louisiana territory to seek the opportunities afforded in the western frontier. An ardent Freemason, in 1815 he was instrumental in the formation of Missouri Lodge #12 and later became its first Master. A well-connected businessman, he was a good friend of such influential Missouri pioneers as General William Clark and Senator Thomas Hart Benton, and was a cousin of Thomas F. Riddick, who eventually became Missouri's first Grand Master. He also held the rank of Major in the US Army. In 1820, Pilcher co-founded the Missouri Fur Company, a trading group associated with Freemasons. He played a key role in the founding of the Grand Lodge of Missouri and may have been one of those under consideration as its first Grand Master. 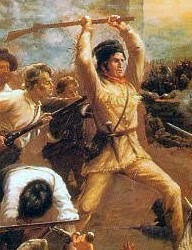 In 1838, he succeeded General Clark as the Superintendent of Indian Affairs and had such a strong friendship with Senator Benton that he served as Benton's second in his infamous duel with Charles Lucas. Brother Pilcher passed away in early June of 1843. The evening before his death, he attended an extravagant banquet with his friend Senator Benton, and his body was discovered the following morning in his bed. The funeral of the founder of the Missouri Fur Company and a true pioneer of the west was an auspicious affair. He was buried in Christ Church Cemetery in St. Louis in a special metal casket imported from Europe. Nearly a half-century later, November 30, 1892, the good people of St. Louis woke up to read a headline in the St. Louis Dispatch, which screamed, "IT IS WEIRD!" The article said on the previous day, men working near the old Christ Church Cemetery had discovered a highly ornamented metal casket. The casket contained no nameplate, but it bore the trademark of an English manufacturer. The article went on to say the remains inside the casket were surprisingly well-preserved, but "withered" a short time after being exposed. The discovery caused a minor stir in town and subsequent research on the curious finding led to other newspaper articles and speculation about the identity of the body. Dispatch reporters eventually determined the body was that of Warren Pilcher, who had died following a banquet attended by Senator Thomas Hart Benton. Reports continued to unfold and chronicle the life of Warren Pilcher. In the meantime, Warren Pilcher himself, the grand nephew of Brother Joshua Pilcher, watched the story develop with great amusement. He let the case of mistaken identity rage on until one report claimed Warren had at one time been a debtor and died owing back rents. At this, Warren Pilcher appeared at the offices of The Dispatch and revealed that the body was that of his great uncle Joshua, who had founded the Missouri Fur Company. Great speculation followed concerning the life and death of Brother Pilcher, including reports that some unnamed scoundrel may have murdered him with robbery as a motive. Warren even reported that at his death, Joshua's servants had come forward claiming to know who was involved, but demanded to be given part of his estate before giving details of the dastardly plot. Pilcher's relatives refused to play along with the scheme and the matter died. Brother Pilcher's body was reburied in Bellefontaine Cemetery where it rests today after its brief, but adventurous return from the dead.